The Bee's Jubilee Clematis is the bee's knees! 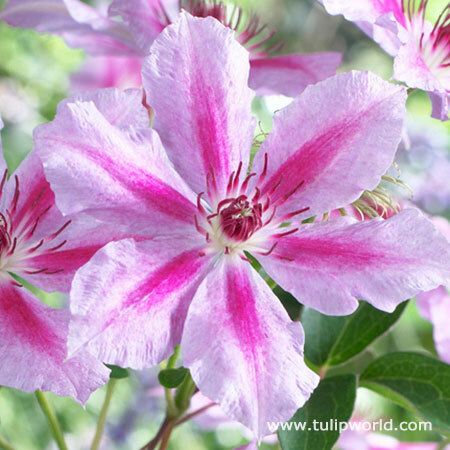 Showy blooms are 6-8" and are mauve pink with a carmine bar. This early blooming clematis will put on a show in May and June, growing 6-10' tall. Plant arrived well packaged and in great shape. Fast shipping.